Hong Kong offshore venture capital funds may soon receive clarification that their tax-exempt status will not be lost merely as a result of co-investing with the Hong Kong government under the Innovation and Technology Venture Fund (ITVF) scheme. According to specialist tax website MNE Tax, this “important legislative reform” should, in principle, incentivise overseas co-investors to fund Hong Kong startups by making it financially attractive for them to participate in the ITVF scheme. Mark Davies: Pending UK non-dom reform - fight, or flight? Questions remain, however, regarding whether this broad tax exemption available to offshore funds can continue given Hong Kong’s acceptance of the OECD/G20 base erosion profit shifting (BEPS) standards. The ITVF scheme was established by the Hong Kong government’s Innovation and Technology Commission to co-invest (through its special purpose vehicle) at an approximately 1-to-2 ratio with venture capital funds in local innovation and technology startups. Hong Kong’s Legislative Council approved HKD 2 billion (USD 254.782 million) in funding for the ITVF scheme in July 2016. The government limits its aggregate co-investments with a venture capital fund to a cap of HKD 400 million (USD 50.95 million) and the aggregate investments in an ITVF investee company to a cap of HKD 50 million (USD 6.37 million). For a fund to be eligible as a co-investor under the ITVF scheme, it is required to have an investment focus in innovation and technology startups and an investment coverage that includes Hong Kong. As of January 2018, 14 applications had been received from venture capital funds to become partner funds in the ITVF Scheme. Pursuant to section 20AC of the Inland Revenue Ordinance (Ordinance), non-resident persons are exempt from profits tax chargeable in respect of assessable profits arising from any transactions as are specified in Part 1 of Schedule 16 to the Ordinance (Specified Transaction). Such Specified Transactions include, among others, transactions in securities, future contracts, and foreign exchange contracts. For the exemption to apply, however, the Specified Transaction must be carried out by or through a licensed corporation or a financial institution authorised to carry out any regulated activities under the Securities and Futures Ordinance (Specified Person) or otherwise by a non-resident person that is a qualifying fund under the Ordinance. Non-resident persons qualifying for the section 20AC exemption would lose their tax-exempt status if, other than the Specified Transactions, they also carried on any trade, profession or business in Hong Kong, thereby ceasing to be non-resident in Hong Kong. 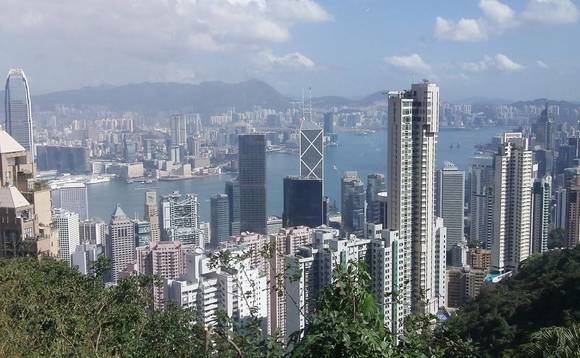 In practice, the strict territorial conditions in section 20AC prevented offshore venture capital funds from co-investing in the ITVF scheme whilst retaining their tax-exempt status, especially in light of the fact that the ITVF scheme requires co-investors to have current investment coverage in Hong Kong. The loss of tax-exempt status would discourage offshore fund participation in the ITVF scheme, a development that would militate against the government’s stated objective of increasing investment in research and development and innovative start-ups in Hong Kong. To address the concerns of offshore venture funds, the Innovation and Technology Bureau has proposed to expand the current list of Specified Transactions to include a share transaction in an ITVF scheme investee company that is carried out through or arranged by a Specified Person for or carried out by a non-resident partner fund. The Inland Revenue Ordinance (Amendment of Schedule 16) Notice 2018, gazetted and tabled in Hong Kong’s Legislative Council on 2 May, clarifies that, for those purposes, a “non-resident ITVF partner fund” means a partner fund that is a non-resident person to which the general profits tax exemption in section 20AC applies. The net effect will be that offshore venture capital funds will be exempted from profits tax that would otherwise arise in respect of their assessable profits from share transactions in ITVF scheme investee companies. Perhaps more importantly, any profits tax exemption currently extended to the offshore venture capital funds will be unaffected by co-investment in the ITVF scheme. The Notice will most likely be enacted on 22 June. The government’s effort to clarify the tax-exempt status of offshore venture capital funds reinforces its vision to support the sustainable development of the local IT ecosystem with a view to encouraging economic diversification in Hong Kong. On a more practical level, the extension of tax-exempt status to ITVF scheme transactions should, in principle, incentivise overseas co-investors to fund Hong Kong start-ups; though, whether this measure will be successful is as yet unclear given the recognised weakness of the Hong Kong innovation start-up sector relative to, for example, Singapore. It may further be queried whether the offshore fund exemption can continue unaltered in Hong Kong in light of the city’s adherence to the BEPS plan initiative, which would discourage the continuation of tax incentive schemes targeted at non-residents, but unavailable to residents. – Stefano Mariani, Counsel, Head of Tax and Trusts at Deacons, has a broad advisory and contentious tax practice, ranging from corporate taxation and group reconstructions to personal taxation and trusts and estate planning. He advises on all matters of Hong Kong and international revenue law, including tax-efficient structuring and restructuring, and appeals before the Board of Review and the higher courts. – Mona Yip is an Associate of Corporate Commercial Group at Deacons. Her principal practice areas include corporate and M&A, commercial advisory and corporate governance. This article originally appeared on tax specialist website MNE Tax.